Zipcar’s modern take on rental cars always seemed like it could give the established industry some headaches. Now, the Cambridge, MA-based company will have to tackle that mission from within the establishment. 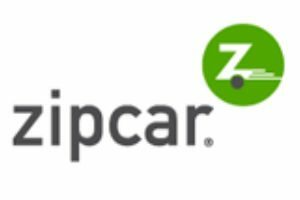 The Avis Budget group announced today that it’s buying Zipcar (NASDAQ: ZIP) for around $500 million. That works out to $12.25 per share, a nearly 50 percent premium over the stock’s closing price on Dec. 31. Avis agreed to pay a bargain price for Zipcar, which debuted on the public markets in spring 2011 at $18 per share, raising about $174 million. The stock climbed above $29 a share within days, but the price soon started falling—a trend that has continued until today’s announcement. As often happens in big M&A deals, a law firm says it is “investigating” the sale on behalf of Zipcar shareholders—in this case, because the asking price is below Zipcar’s 52-week high. Zipcar’s shares, however, have been trending downward pretty steadily, including a big dropoff in August when the company lowered its financial targets. Zipcar’s business offered an interesting twist on the usual rental-car business. Rates vary by city, but consumers often can choose between a pay-as-you-go plan that charges, for example, $8 per hour or $36 per day—along with a $60 yearly membership fee. Heavier users could opt to pre-pay for a certain amount of driving per month. The cars are seeded throughout a given city in dedicated parking spaces, and the doors opened with a personal keycard. All of the booking, searching for a nearby car, and payments are done online—convenience that could make up for prices that are sometimes higher than traditional rental cars. Zipcar put a lot of effort into marketing itself as a “car-sharing” company, but it’s really a car rental agency of a different stripe—the company owns the cars, and charges consumers to use them in bursts. So this acquisition, and Zipcar’s stock performance in general, doesn’t really serve as any sort of signal for the potential growth of the “peer-to-peer economy” that many startup founders are banking on. It does, however, show just how difficult real-world businesses are despite all of the heavy lifting that can be done by software. Despite its online DNA, Zipcar still has to manage two potentially unwieldy assets: A fleet of vehicles and a pool of subscribers. Avis specifically called out its ability to combine the two companies’ fleets in its release announcing the sale. The two companies also say they can save money and drive Zipcar’s profits by combining operations, which often means back-office layoffs for the smaller company (although there was no immediate word of that in the release). Zipcar is, however, expected to keep operating as a standalone brand. If there’s a real future for the new rental model pioneered by Zipcar, this could be the best shot at making it work. some popularity for at least once so you can be hopeful in this case.